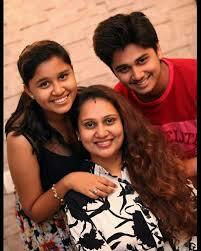 Abhinay Laxmikant Berde is an actor of marathi film industry, born on 03, November, 1997 in Berde family. Abhinay Berde is son of the Great comedy king and marathi film superstar, actor Late Shri Laxmikant Berde and Priya Arun-Berde. In this website, we are focusing on upcoming movies, latest activities of Abhinay. His first film was released on 06 January 2017, Ti Saddhya Kay Karte. Abhinay won the "Best Male Debut" Award in his debut film, Ti Saddhya Kay Karte. Read more about Abhinay Berde Biography and Movies List 2018. This website is dedicated to Abhinay and Berde Family to provide the latest Marathi news, movies updates, upcoming marathi movies, and other useful stuffs that can helpful to marathi readers. You can find useful information in this website including Abhinay Berde upcoming movies, about Abhinay family, news and activities from marathi film industry which may be related to Abhinay Berde or marathi cinema, and marathi stuffs. As of today, there are two films in the name of Abhinay Berde. With the hope, year 2018. 2019 will be more movies list for Abhinay Berde and we will update the according to information would be available. Ti Saddhya Kay Karte is a marathi debut film of Abhinay Berde for which he won Best Male Debut award. Read more about Abhinay Berde movies. Ashi Hi Aashiqui is second marathi movie of Abhinay Berde as a lead role. Read further to download songs of Ashi Hi Aashiqui and full movie online. Along with Abhinay Berde movies list, we also do provide name of other marathi movies for the reference and information purpose to our website readers. Here, we are providing list of released, upcoming marathi movies list by 2018. Bedhadak is a marathi movie release in June 2018. Read more about Bedhadak marathi movie review. Respect is marathi movie of seven womens in which Abhinay Berde's sister, actress Swanandi Berde has a role one of them. Read more about marathi movie Respect story and cast. Hairstyle of hindi as well as marathi movie actors, actress is fashion trend among the actor or movie fans. The craze of hairstyle is one of the old fashion where youth follow up the new hairstyles according to new films are released and by seeing new hairstyles in new movie, youth try to make their hairstyle like film actors. Likewise, Abhinay Berde's hairstyle is also craze and popular in youth. Abhinay's debut film Ti Saddhya Kay Karte hairstyle got famous and fans are trying to make same hairstyle like Abhinay'. On an exclusive interview with one of the top media channel, Abhinay shared the secrets of his hairstyle and how he has been taken care of his hairs since childhood to make them silky, stylish and smooth. Read Abhinay Hairstyle Secrets Tips. How To Contact Abhinay Berde? Are you a fan of Abhinay Berde and want to contact him on House Address, his WhatsApp Number, Email And Social Accounts? Do you really want to get his phone number to talk with him, then read our article which can provide you information on how to find Abhinay Berde Address, WhatsApp Number, Email And Social Accounts. Contact Abhinay On His Personal Social Networking Profile.